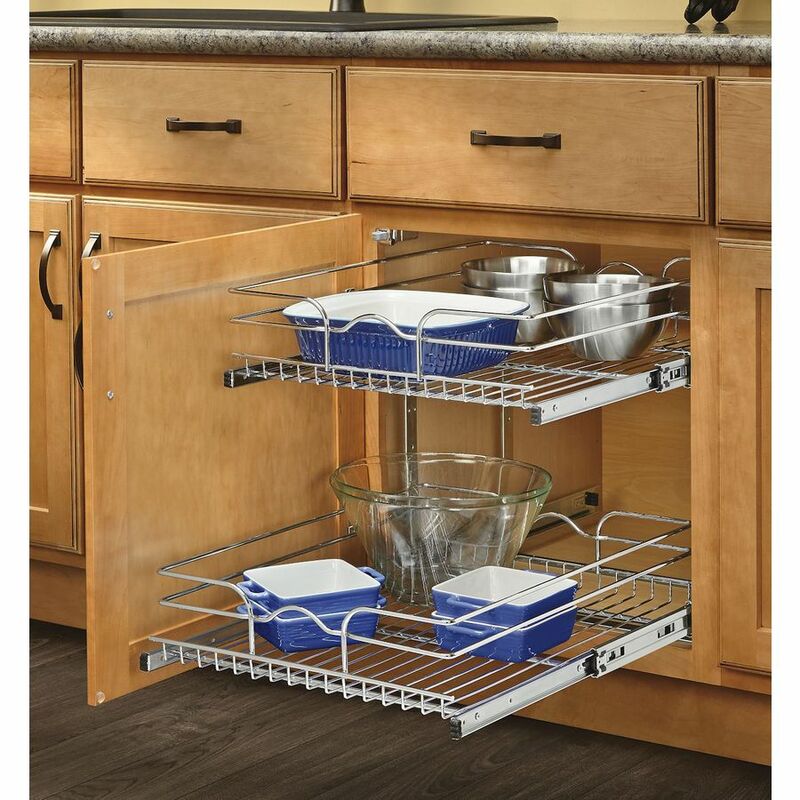 Slide Out Kitchen Storage Racks - Calls for easy Access! When talking about Kitchen Storage we all pine for it and dream we had an extensive slide out doors all custom fit with the most beautiful looking stainless steel racks, strong & sturdy to hold all our jars of lentils, rice, pasta, jams, nut paste, spices and more. That is a homeowners dream and believe me when I say dreams do come true. Even though they come at a cost proper planning can work out so well for you that you end up having the storage you need but also spend only as much money as is needed for the right arrangement of hardware & cabinets. Slide out storage can be inserted in a number of locations. 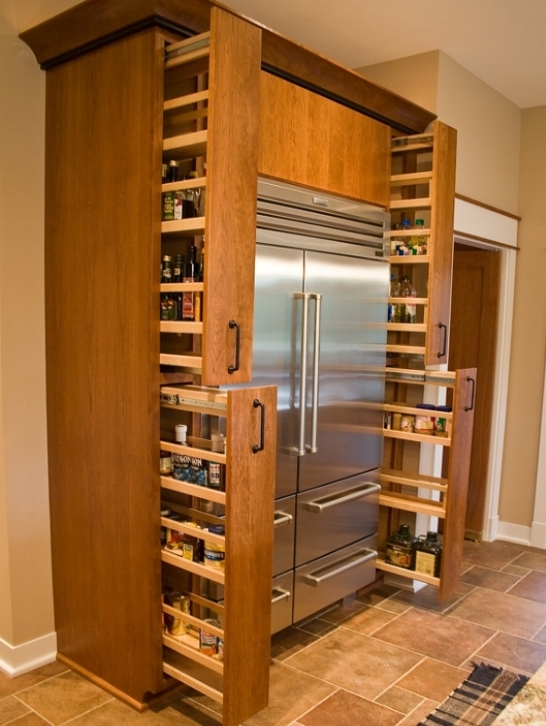 When planning the kitchen we should keep in mind easy accessibility! Who is working? How do they work? What do they reach out for? These are some of the pertinent questions a Designer will ask you when he or she is helping you design your kitchen and the storage. It is all about making it convenient for you as well as functional. But again in the process it has to look good. Sometimes storage can be camouflaged behind a molding feature too. Well talking about storage slide out wire racks in stainless steel are a kitchen owners' dream come true! Stainless steel is famous for its tensile strength and with all the boxes and food items kept on it, any aluminium wire rack would not hold up to it. Soft & smooth bottom slide-out glides add to the easy access of the items behind so everything does not need to be taken out to get one thing at the back. Working with a designer and going through a checklists for Kitchen Design, Kitchen cabinet Layout, Kitchen Island Storage, Pantry Storage and being very meticulous is the best way to plan your kitchen well. Sometimes doing it yourself can be challenging and overwhelming. So take help and you save money on errors. First Time Home Buyers - Get a Designer's Touch without breaking the Bank! We have all gone through that phase where we wait in anticipation of getting the keys to our very first home! Emotions run high, ecstasy is common and the joy of ownership also comes with many factors. The most popular among that - we do not have too much money to spare! If you have looked at the opportunities of creating an open plan between your kitchen and the adjoining room you must think of putting in an island. What is a Pantry to you? 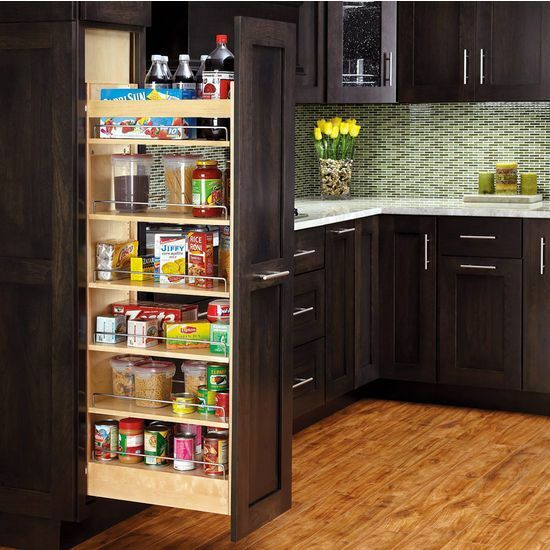 How much space do you have to build a pantry? How badly do you need a Pantry? 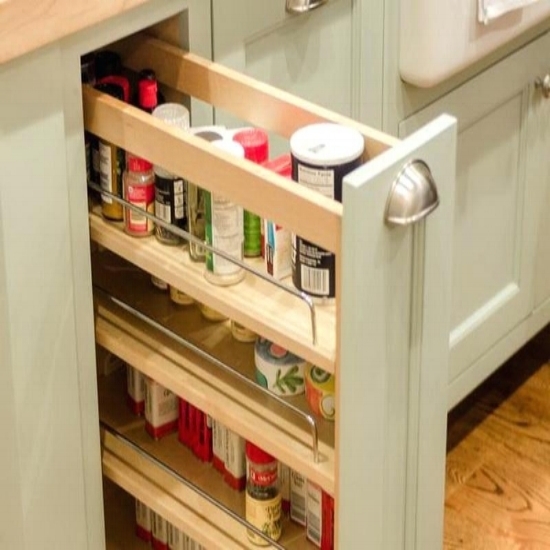 Are you ready for the extra storage space not only for discovering that from the space you already have but also knowing that it costs money to create a good strong pantry? Wood Storage is so much more appealing and charming than any other material as in plastic or wire racks. Wood has its warmth, its natural color that ages with time, its natural quality of being earth friendly and non-allergenic. Creating work stations in the kitchen for a particular purpose makes it convenient to organize a kitchen designating one area for that purpose. Many times, when needing to store our everyday appliances, it's difficult to make place on counter tops for everything to fit. 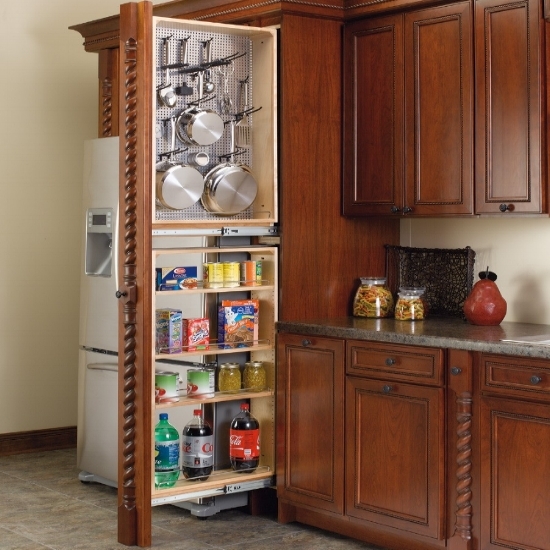 These large appliances can also take away from the overall aesthetics of your kitchen space. Having multi door/drawer units in the same configuration also works many a times when we can achieve to get both the look as well as the function. 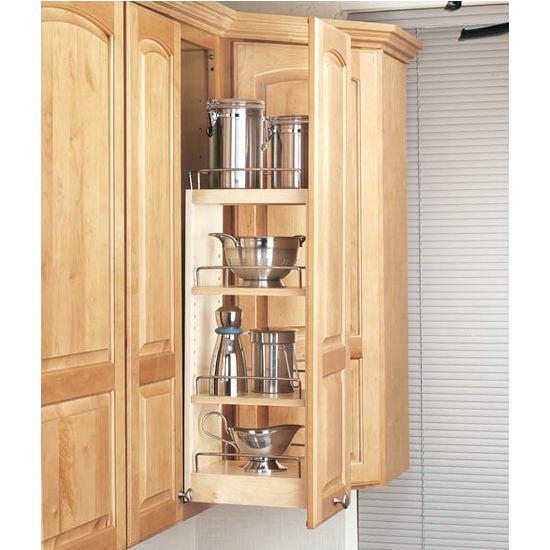 Storage in a kitchen can be planned in various configuration. 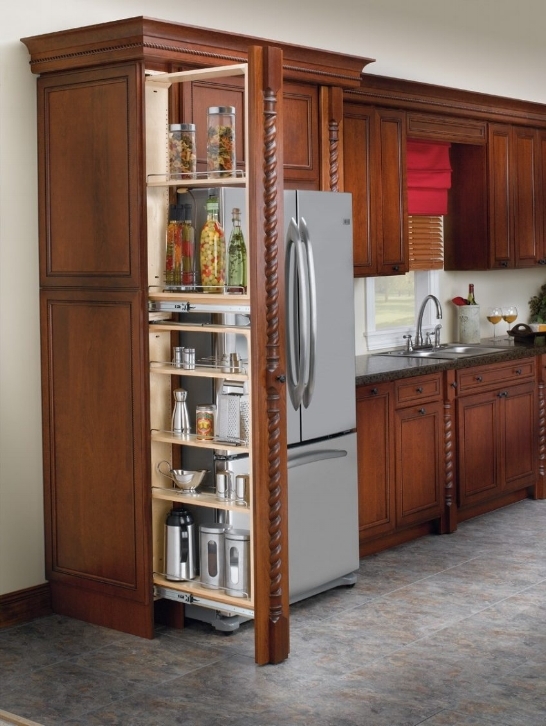 Wall cupboards, base units, drawers, tall multi-use cabinets to full height cabinets can all be customized to what the family needs as storage space. Nothing can be more painful than to be always excusing yourself from someone else using the kitchen at the same time as you, shifting around to make room, closing doors and drawers to open the refrigerator door or the dishwasher door.